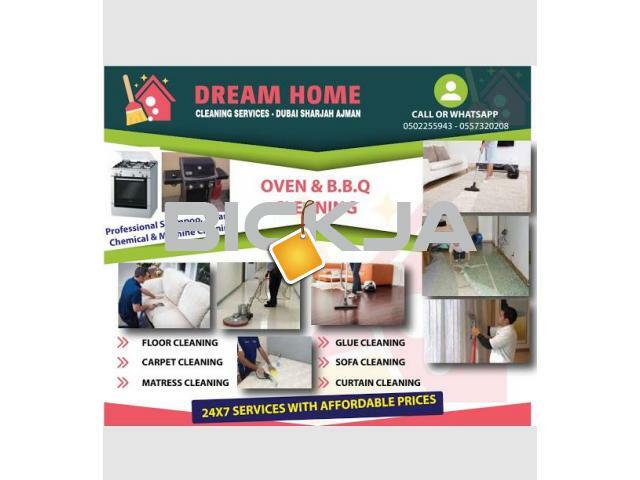 DREAM HOME CLEANING SERVICES is one of the Leading Company Dubai which provide you UPHOLSTERY/ SOFA/ CARPET/ MATTRESS/ CURTAINS/CHAIR/ and RUG Cleaning Services with the help of Perfumed Detergent environmentally friendly for Healthy Home and Deep Sanitization Machine which can Remove the Dirt Dust, Gram Stains and make your Upholstery FRESH & SHINY. Dream Home cleaning services use Different kind of latest Cleaning Machines Steam, Shampoo Special Acid, Chemical and most Recent Technology by Professional way and on the Best Price. We strive to provide Cleaning Services at the Highest quality and Care through our Specially Trained Staff Technician and State of the Art Equipment. Our Services all over Dubai and Sharjah 24 Hour’s 7 Days a week Quick, Reliable and Affordable. Contact us for All kind of Deep Cleaning .